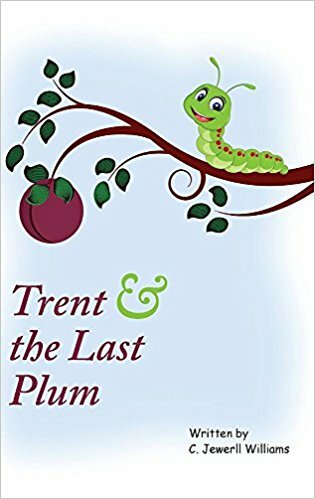 The book titled “Trent & the Last Plum” tells the important lessons a little boy learns as he tries to get the last plum on a tree. Through a children’s book, Trent shares to readers important lessons that changed his perceptions of life. C. Jewerll Williams published “Trent & the Last Plum,” a children’s book inspired by events that took place when he was still a child. The main character is Trent, a little boy who is still naïve about life. One day, he saw a plum tree with a single fruit hanging from it. The fruit is so red and juicy that he would love to sink his teeth into it, so he tries to get it. From that experience, Trent learned important lessons that changed his perceptions of life. He now shares the lessons that impacted him through this heartwarming children’s book. “Trent & the Last Plum” is highly recommended for children who love colorful illustrations and for parents who want to teach life lessons to their children. The book “Trent & the Last Plum” will be displayed in the upcoming 2018 Frankfurt International Book Fair which will be happening on October 10, 2018. The author, Comer Jewerll Williams, was born in Savannah, Georgia and uses the pen name C. Jewerll Williams. He is a screenwriter turned author who writes short children and young adult stories. The stories depict the upside of life’s challenges. Williams’ short stories often include some of the things he has experienced and also some of the things often dreams of. Years later he decided to go to film school at Georgia State University, and that’s when he acquired a love for writing. Fifteen screenplays later, he decided to write children and young adult stories.